Nicely updated 3rd floor unit with stunning ocean views! New Cal King bed! Washer/dryer in unit! Near Shopping, Restaurants and all beach activities. Eclectic neighborhood with walking and jogging trails along the ocean! Farmer's Market, coffee shop and beach park 3 blks away. Swim and snorkel right in front of property within our protected outer reef. Observe a myriad of sea life including, sea turtles, dolphins and whales in season! Free nightly sunsets from your private lanai! 2 Propane gas grills for BBQ ing with a sunset view! "Talk story" with our local residents and meet people from all over the world at the best condominium Maui has to offer! We loved our stay in room 313. The view of the ocean from the balcony was beautiful. We watched whales every day as we sat outside. We also went swimming up along the coast each direction from our condo and encountered turtles each time. It is not a sandy beach in front of the condo but if you walk either direction you will soon be at one. I also loved having a washer and dryer in the unit to clean all the sand and sea water out of our clothing and towels. Check in and check out was simple and the room was very nice. I would definitely stay here again. Lahaina is a quick 5 or 10 minute drive away and has many shops and restaurants. A guest from FLAGSTAFF, AZ United States recommends this vacation rental. Great place to stay, great locatuon, wonderful ocean views! Mahalo for your kind comments! Lee J. from Fountain Valley, CA United States recommends this vacation rental. My wife and I spent two weeks on Maui. We have stayed at the Kaleialoha for many years and have never been disappointed. Location is great and so is the price. Mahalo Lee! So glad you enjoy our property! See you next time! Very clean and well managed by Loni. Mahalo Dr Matrick! See you next time! 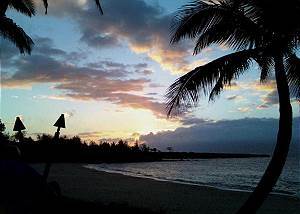 Mary H. from Lahaina, HI United States recommends this vacation rental. Perfect little condo with an incredible view! We enjoyed our stay!!! CRAIG W. from Hesperia, CA United States recommends this vacation rental. 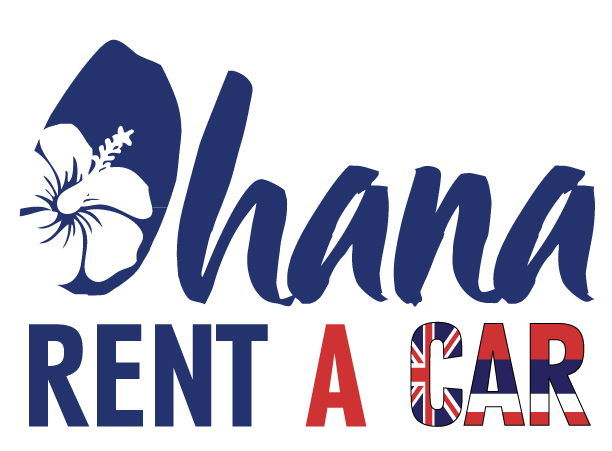 I've been staying at the Kaleialoha for over 20 years and wouldn't think of staying any other place. Condos are comfortable and clean, view of sunsets is beyond belief. Love ya Craig! See you next time! Patricia W. from Ogden, Utah United States recommends this vacation rental. We love watching the whales and turtles. The condo is nice but would have liked a tv in the bedroom. It was very clean and rhe kitchen looked like it had been remodeled. The bed is very comfortable. We have stayed in this complex many times. Ken D. from Laguna Hills, CA United States recommends this vacation rental. Kaleialoha is a wonderful property located right on the Beach between Ka'anapali and & Napili Bay. You can walk to a Farmers Market and Snorkle on the Reef right out front of the property. Real close to Lahaina as well. Tamara S. from Villa Grove, IL United States recommends this vacation rental. Very clean overall, great kitchen with everything you need, informative books of the island, unbelievable view of the ocean, quiet, stores and food within walking distance. So glad you enjoyed the stay! Hope to see you again soon! We couldn't have been happier with our apartment, we had the most amazing view of the ocean and the turtles were out of this world. We have snorkeled in many place overseas and this was definitely a highlight for us. Great location to all beaches and amenities, we definitely recommend this accommodation. The only negative with our apartment it definitely needs air con but we had a good through draft from the ocean. Julius J. from North Las Vegas, NV United States recommends this vacation rental. The moment we walked into our condo and saw the view, we fell in love with the place. The ocean view with the neighboring islands were amazing. We saw a sea turtle grazing on some seaweed just a few feet from our lounge chairs. We also saw a whale breaching and splashing around from our balcony. The interior was very nice and well kept. The appliances were new, the countertops were recently upgraded from the looks of it. They had everything that you needed to make yourself comfortable in the condo. We never needed to get anything else except food when we were there. The only thing we can criticize was the size of our bed. They only had a full size mattress and I felt a bit cramped with me being 6 ft and my wife in the small bed. Other than that small detail, the place was just fantastic. It's also very affordable compared to other places. Luis P. from North Las Vegas, NV United States recommends this vacation rental. Our vacation stay was nothing more than an extremely pleasant surprise. First of all the location could not be any better, the views that you get on the advertisement of this condo is exactly what you get when you get to this unit. Secondly, the staff was very accommodating allowing us to check in and get settle in the unit way before our actual check in time. We were settled and enjoyed the water by 12 pm as oppose to the original 3pm check in time. We stayed for 8 nights and have nothing but great things to say about this place. The only minor inconvenience was the fact that this unit does not have AC (has several fans that did the job to a certain extent), but coming from Las Vegas and escaping the 108 degree weather, low 90s did nothing to deter our spirits. I only mention this as this is something to keep in mind for others who don’t do that well in the heat. Aside from this, the bedroom, kitchen, and bathroom were very clean and worked very well for our needs. I would add the fact that the ground of the resort are very well kept and are very clean as well and the heated pool worked wonders after a long day of swimming in the ocean and hiking around. I would highly recommend this unit to anyone who is looking for a nice, beachfront, clean unit to lay your head to rest at night as you sleep with the sounds of the ocean in the background. Lonnie and staff thank you so much for a pleasant stay. Michael T. from Abilene, KS United States recommends this vacation rental. It was great, just what we were looking for! A guest from Point Edward, Ontario Canada recommends this vacation rental. open the doors the first morning and along with the calming waves we watch whales all day!! Lee S. from Oakbank, Manitoba Canada recommends this vacation rental. Kaleialoha Condo's was a really nice place to stay. Location was good as it was only a 10 minute walk to the organic Farmer's Market store. The whole condo property was maintained well and there were beautiful flowers everywhere outside. The view from the lanai was spectacular. The inside of the condo itself needs some updates but otherwise it worked well for us. The things in the condo I didn't like were just nitpicky things then anything else. Chairs on the lanai were very straight backed so hard to get comfortable in them, kitchen table was a little wobbly (just needs some tightening up), internet was slow, etc... Nothing that ruined our trip at all. The hose on the kitchen sink busted but we let the property manager know and they came and fixed it up promptly. Again, all of these things were minor and did not, in any way, ruin our trip in the least. The people at the condo were friendly, listening to the waves crash as you sleep was fantastic and just letting the breeze come in through the condo was wonderful. Bedroom and kitchen were a nice size. Lots of things you need are already there (spices, kids sand toys, boogy boards, some snorkel gear, etc...) so it's well equipped. The ocean right outside the condo was wonderful. If you want some better beach areas for swimming and snorkeling, this condo is close by (5-10 minute drive). The only bad thing was that there was no landline phone (in case of emergency), so being Canadian we had to order a US package on one of our phones for $20. Not a really big deal either. Again, none of the negatives I mentioned would deter us from staying here again. It was a wonderful stay in Paradise and Loni did a great job in getting us a condo for the time we wanted. We will definitely be back to Maui soon and hopefully be staying in this condo again. Heather L. from Delta, BC Canada recommends this vacation rental. Stayed for a week in this lovely condo. We found everything we needed right down to the snorkelling equipment. Beautiful. Would stay there again in a flash. We stay at the Kaleialoha every year usually in 312. this year we stayed in 313 which is equally as awesome. Beautiful sunsets, cool trade winds and an awesome condo, add cold beer and a ukulele and the world is perfect. Nicholas R. from Castro Valley, CA United States recommends this vacation rental. We loved our condo! Couldn't believe the fantastic view and location. But there was construction in the unit above us, and our little guy couldn't take his afternoon nap. I called Lonnie, and she was able to move us to an equally fantastic condo. If we are in Maui again, will definitely book again. Theresa J. from Lahaina, HI United States recommends this vacation rental. Donna A. from Patterson, Ca United States recommends this vacation rental. We have been staying at Kaleialoha every time we visit Maui for many, many years and once again had an amazing stay. We have stayed in just about every condo on the first floor and #313 was another of our favorites. Booking was easy with Lonnie and the condo itself was clean with high end furnishings and appliances. It also had a great supply of fresh linens and kitchen ware. Will be back again soon! Excellent! The location and condition of the condominium are superb. No problems checking in, out and during the stay. The only negative: no easy access to the beach/water. Sorry about beach access.. we are working hard to rectify this! Glad you enjoyed your stay! Audrey S. from Indian Land, SC United States recommends this vacation rental. We were pleased with the condo we rented, the weather was a little cool, but it didn't stop the fun! Don J. from San Ramon, CA United States recommends this vacation rental. Karen T. from Calgary, Alberta Canada recommends this vacation rental. We rented this condo for 8 nights in March 2017. We found the condo to be exactly as shown and described. It is very well equipped and comfortable, even down to beach chairs and beach towels (and boogie boards although we didn't use them). Although it is an older building it has been well looked after and unit #313 has definitely been updated. The kitchen has granite counter tops and stainless steel appliances and has pretty much everything you need (except a kettle) if you want to cater for yourselves, as we did. The best thing about this condo though is the location! It is right on the ocean and we spent many of our late afternoons and early evenings on our lanai watching turtles swim in the shallow ocean waters below. Since we were there during whale season we were also treated to many humpback whale sightings from our lanai. Although we had binoculars, in many instances you could see blowholes, fluke slapping and breaching with the naked eye. It was also great to look out over the islands of Lanai and Molokai and be able to watch the sunset each evening. Unfortunately, while we were there part of the grounds were fenced off including direct access to the ocean (which meant that we had to access it through the building next door). It was a minor inconvenience but didn’t significantly affect our stay. We had to report a small leak under the sink in the bathroom but the condo manager dealt with it promptly so again, it did not impact our stay. We would definitely return to this unit again and would recommend it to any couples who prefer to stay somewhere smaller and quieter than the larger resorts. Mahalo for taking the time to comment! Hopefully we will see you again soon! Josue U. from Lahaina, HI United States recommends this vacation rental. Jamás creímos con mi esposa que encontraríamos un lugar con una ubicación tan excelente. TODO fue sorprendente. Desde la tranquila zona donde se ubica el condominio, pasando por el perfecto estado del condominio, el cual posee absolutamente TODO lo que alguien necesita, y terminando en la espectacular vista desde el balón, el cual da al océano. Podes oír las olas romper, el mar mecerse, el viento soplar, las palmas moverse. Todo es maravilloso. Y aún no menciono las tortugas! ELLAS SON TAN ÚNICAS! Y están ahí, lo único que debes hacer es bajar y nadar con ellas.